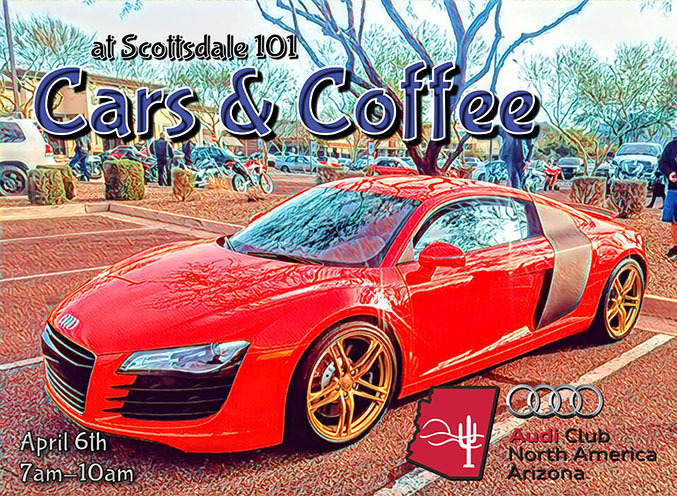 Spring has brought us better weather for Cars & Coffee at Scottsdale 101 on April 6th from 7am-10am. Scuderia Southwest always delivers a great Cars & Coffee event the 1st Saturday of every month. Please join us and your other club members in the European row. Remember to join us afterwards for the Drive & Dine to Sonoita Vineyards.